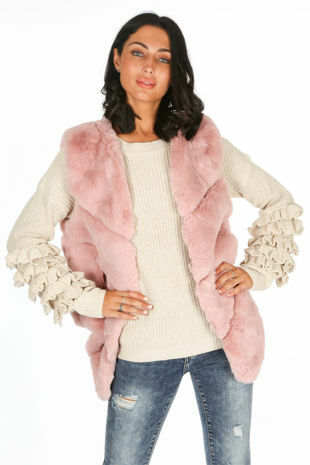 Faux fur jackets and faux fur coats are the ultimate cosy-but-chic finishing touch to any outfit. At Dressed in Lucy, we have a selection of women’s coats ideal for the colder weather. Our ladies coats will see you through every season, with a parka for winter and gilets for spring. 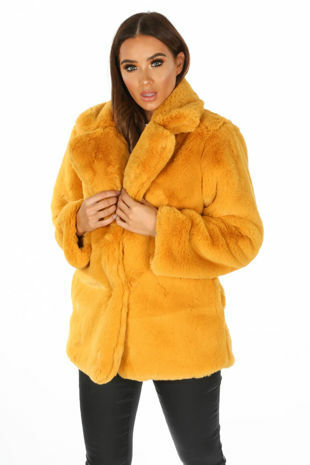 Our coats for women are delightfully fluffy and soft, so you’ll be feeling super cosy and stylish. Looking for winter coats? You’ve come to the right place. Our parkas are designed to keep you warm in the colder temperatures. 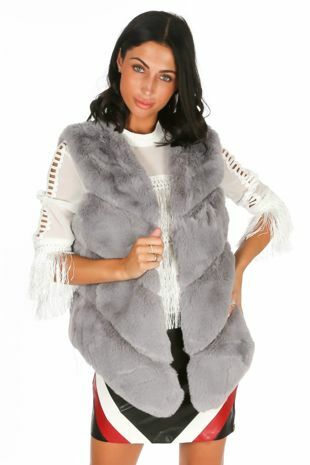 If you’re looking for a smart jacket that you can throw on over a party jacket and still look fabulous, try one of our faux fur coats in grey, black or burgundy. 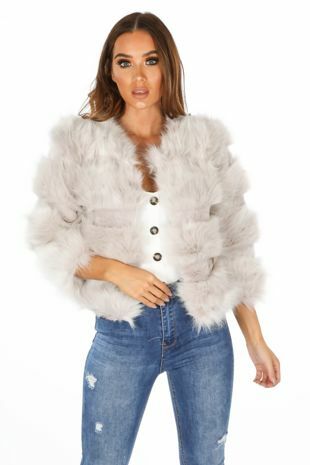 For Spring, you really can’t beat faux fur jackets, teamed with your fave denim and trainers or boots. Our gilets are available in multiple colours including burgundy, green and grey. 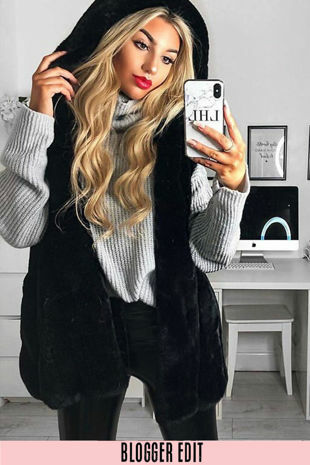 Dressed in Lucy’s range of faux fur coats and faux fur jackets are beloved by bloggers and celebrities such as Chloe Lewis, Tiffany Watson and Courtney Green. 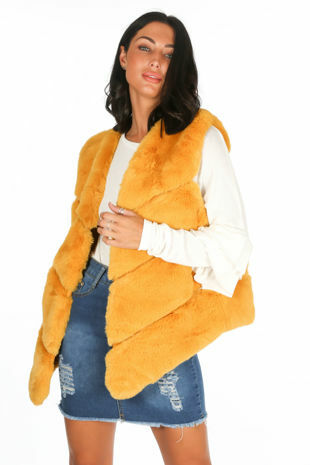 If you don’t believe how amazing they are, take a look at the reviews – our customers are praising our faux fur jackets for being warm, high-quality and stylish – looking much more expensive than their affordable price tag. We firmly believe that trendy outerwear shouldn’t cost a fortune. 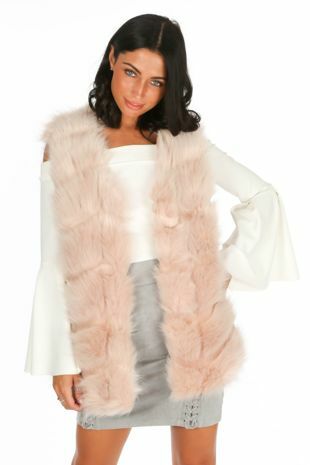 What to wear with Faux Fur Coats & Jackets? For a casual look, team your faux fur jacket with a slogan tee, jeans and your fave trainers. If you’re heading out for drinks, slip a sequin cami underneath with leather pants and heels. Due a day date with bae? It’s got to be a gilet, with white shirt and jeans. Need to keep warm whilst walking your pooch? Our parkas with a soft faux fur trim are ideal. At Dressed in Lucy, our mission is to provide high-quality clothing at an affordable price. There’s no need to spend a whole month’s pay to change your wardrobe – just shop our latest styles to stay ahead of the fashion pack.